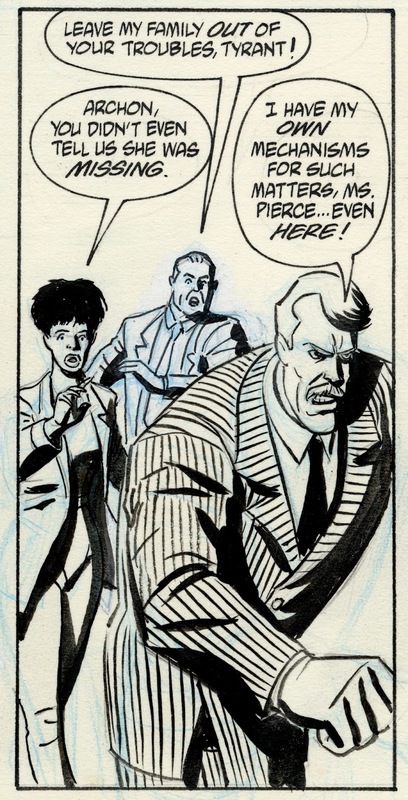 I had a lunch meeting with my ex-Batman Adventures editor, Scott Peterson, while visiting NYC in April ’93 (during the period when I was illustrating this comic). 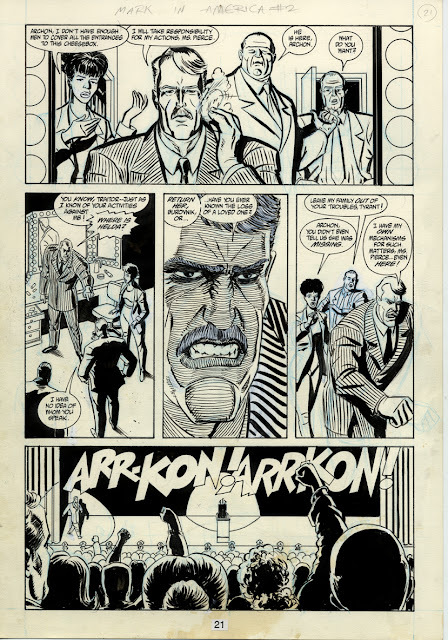 He advised me that it might further my career to imitate more popular artists, such as Neal Adams and Bernie Wrightson. So check out panel 3; does this look Wrightson-esque or what? 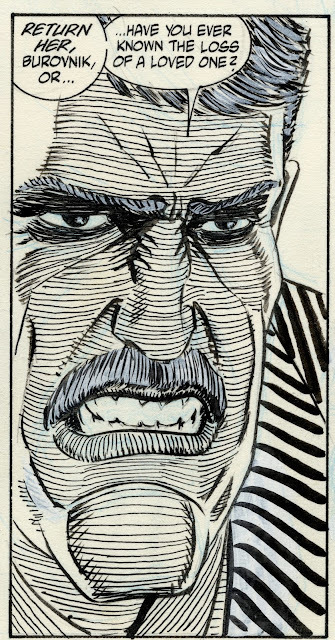 Unfortunately, it looks like ‘80’s Wrightson, like from “The Cult”. During the period when I did this drawing (mid-’93) I dismissed everything Wrightson had done from “Creepshow” onwards. I may have to re-assess his work from that formerly dismissed period. 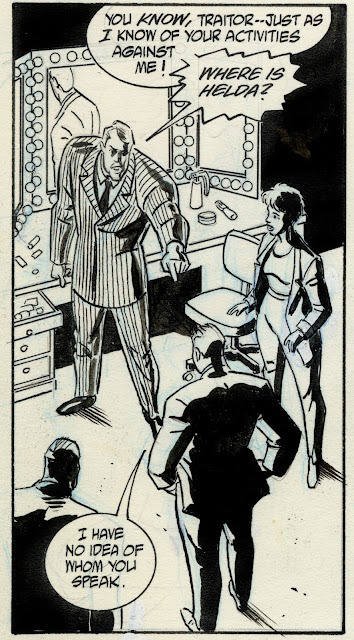 I rather like the rest of the page as well, at least the scenes inside The Archon’s dressing room. I chose Archon’s make-up mirror as the room’s light source. In panel 1, I assumed that the colorist would follow my lead and throw the background behind the middle ground figures into semi darkness. I learned my lesson from this experience when drawing “Catwoman” issues 5 through 11 for DC Comics in 2001/2002, making copious color notes, which I sent to the editor along with my pencils. Unfortunately, given the lead-time, I didn’t see the color on my first issue until I was mid-way through penciling my last, where it glaringly obvious that the colorist not only ignored my notes but the script as well. I’m not sure what I’d do differently about panel 5, but it doesn’t work somehow; there’s something amateurish about it. Maybe there’s not enough variation in the head heights within the composition. I think the middle/right woman’s raised arm is too big for her head. This is page 21 for "The Mark" issue 2, volume 2, otherwise known as "The Mark In America", published by Dark Horse Comics in January 1994. Written by Mike Barr, drawn by Brad Rader.